Emerson Burkhart came into his artistic maturity during the 1940s as a portrait painter and a chronicler of the fast-changing urban and rural worlds around his studio in Columbus, Ohio, and emerged as a noted American Scene painter. The American Scene and the Abstract Expressionist painters were the two opposed camps of artists that struggled throughout the 1930s and 1940s to define and create a 'truly American art'. Focusing on the life and career of Emerson Burkhart, this is the first monograph on the artist to be published in over 35 years, revisiting that era and its artistic ferment from a unique perspective. 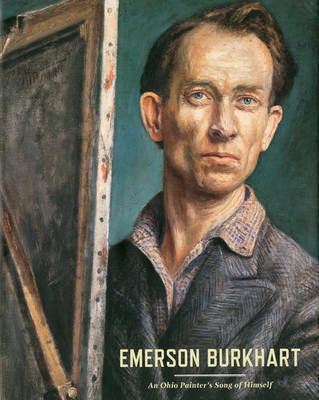 In addition to chronicling Burkhart's life, this book presents an important selection of illustrations representing the artist's paintings from the late 1920s to the early l960s, alongside images of works by his mentors, his rivals and his best-known contemporaries. As the only book on this influential artist in print, this volume will be important for all those interested in 20th-century American Art. Michael D.Hall,formerly head of the sculpture department at Cranbrook Academy of Art, is an artist and independent curator.